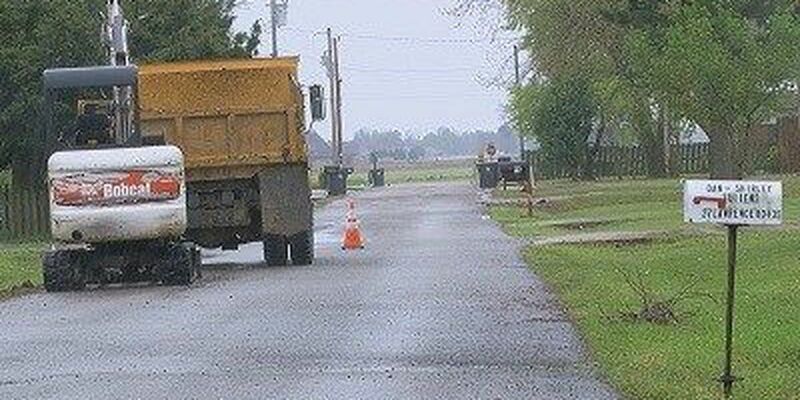 WALNUT RIDGE, AR (KAIT) - The city of Walnut Ridge is working on a drainage project ahead of a major asphalt overlay project. Mayor Charles Snapp said drainage work is being done in a residential area, near County Road 434 and Highway 67. Snapp said the work is one of the final projects before the city begins working on a massive overlay project this summer. However, the work being done on the drainage is something residents will see the benefit of before the overlay project begins. "The drainage helps everybody," said Mayor Snapp. If you can't get the water off the streets, you can't get it out of their yard." He said residents will notice the change, especially during the rainy season. "It's not going to be a fix all, but it certainly improves the area when they do that," Snapp said. He said the project should be completed within seven days.